Doranna Durgin: I didn’t “come to be” a writer—I was always a writer. I put my first little book together in first grade and never stopped, and wrote my first novel in 7th grade (Illustrated. About a Collie, if you must know.) At that point I was writing daily by hand (in very particular lined notebooks with very particular pencils that I didn’t give up until I realized that pencil fades) and submitting with the naïve confidence of youth. I didn’t switch to the typewriter until after college, and boy howdy, you should have seen me when I sat down in front of my first word processor (Atari!). I guess the point is, I started and I never stopped. I don’t suppose I ever will. 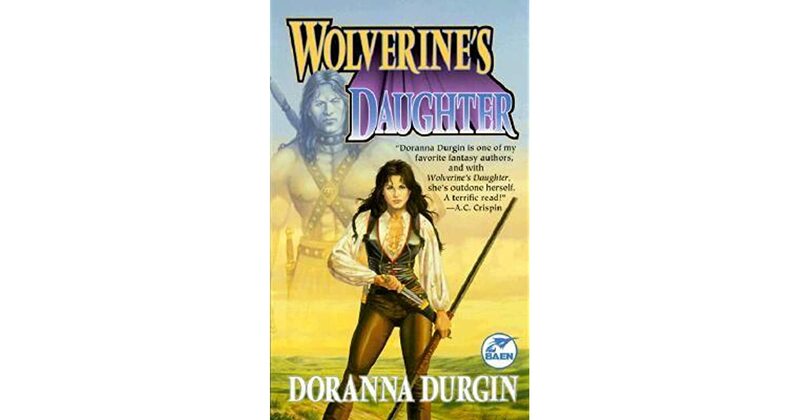 DD: Oh, there was no way I wasn’t going to stump Kelyn, my straightforward sword & sorcery heroine, with social strictures and subtleties—especially not when I’m in the middle of writing a sequel (Rings of Ranadir) for her first book (Wolverine’s Daughter). I figured it would be gleeful rubbing-hands-together fun, and it was! There might be some sly thoughtfulness in there, too. I’m not saying. DD: I write what I do because it’s all inside me, and possibly I would explode if I didn’t find a way to let it out. And I also write what I do because authors before me have made me feel the wonder of their worlds, and I want more than anything to share the wonders I feel from my stories, too. And I write because I want to explore and reveal things I think are important—things we’ve forgotten about our world, through alternative lenses. How my work differs as I go about that is, I think, a reflection of how and where I’ve always lived—I’m an environmental ed major and former park naturalist who’s always lived as close to the real world as possible. Once upon a time, that meant a log cabin on a hundred acres of Appalachian mountainside where I interacted with more critters than humans. Since then I’ve immersed myself in the land on SW Virginia farm acreage (and spent my summers sleeping in a wee tent anyway) followed by rural high altitude desert foothills. Always close to my animals—horses and dogs--and training them, an avocation that led me to the current pack of four that includes the most highly performance-titled Beagle breed champion in the nation and two more who are right on his heels. I think this immersion—combined with a neurosensory syndrome—provides a framework for my work that likely differs from other approaches. DD: My writing is in a transition phase. I’ve recently stepped away from traditional publishing—bought out a contract when publisher restrictions meant I couldn’t do with the book what the book needed done. Now I have so many projects on my list, it’s hard to know where to go first. But there will be more for Kelyn, definitely a return to fantasy and a number of heart books that have been waiting, and more for Dale & Sully (a mystery series with a vet and his Beagle companion that I swear, I started before I actually had Beagles. The prescience of me). 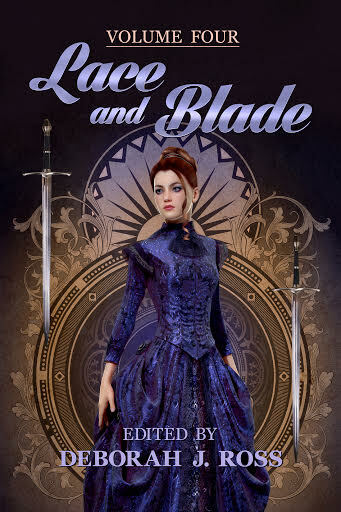 I also recently released the third book in the Reckoners trilogy on top of significantly enhanced Author’s Cuts of the first two books. I love, love, love that indie publishing has allowed me to do this, after nearly fifty traditional books’ worth of bowing to publisher roadmaps. DD: The same advice I’ve always given, even as the market changes: Write lots of what you’re driven to write, know the market, know the different publishing paths, and know which choice is best for you before you make it. Set your sights first, then figure out your plan for getting there, and then go after it. publishing journey across genres, across publishers, and across publishing lines. Beyond that, she hangs around outside her Southwest mountain home with horse and highly accomplished competition dogs. She doesn’t believe in mastering the beast within, but in channeling its power. For good or bad has yet to be decided.